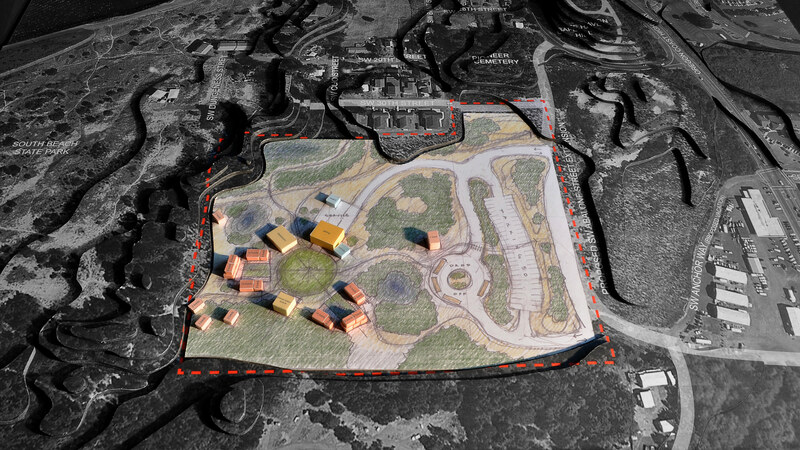 This proposal for a Coastal Discovery Center includes multiple approaches for creating a residential and experience learning center on the Oregon Coast dedicated to environmental conservation, ecology and understanding of coastal habitat. 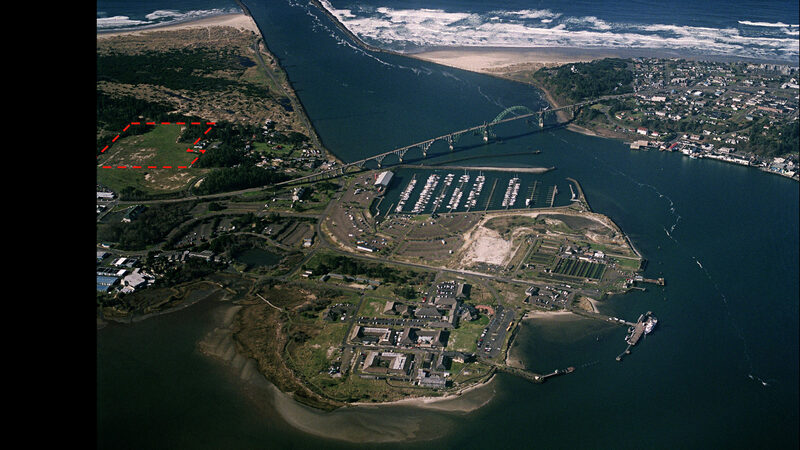 The site lies on the south side of the Newport Harbor near the Hatfield Marine Science Center and the Oregon Coast Aquarium. While in the transitional dunes, the site had previously been occupied by the Newport Drive-in and had been completely cleared for potential future development. Three different models for inhabiting the site were developed, each with a mind toward the experience of the visitor, the educational opportunities of the site and long term restoration. 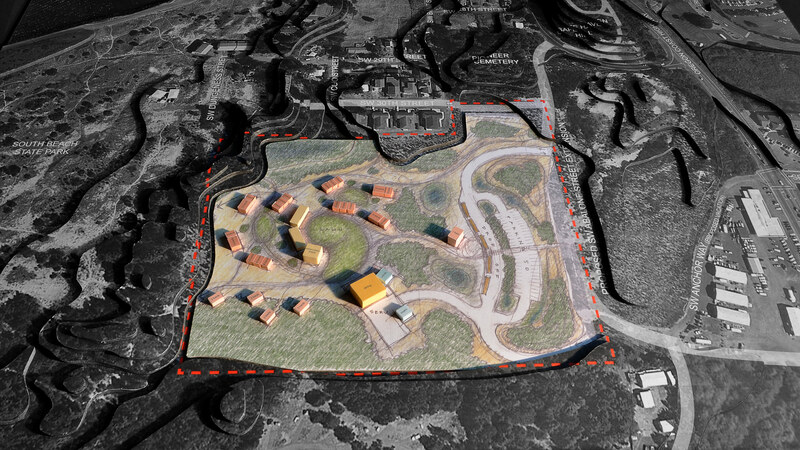 In each, the program is arranged in varying density with careful consideration given to the transition from the car to the camp environment and then the connections out to the coastal pine forests and neighboring dunes. Building orientation takes into account prevailing winds and storm patterns as well as solar exposure to maximize efficiency, comfort, usefulness and durability. The building massing is intentionally kept low and consideration of visibility, site lines and a mix of private and more communal outdoor space is a factor in each approach.